Posted on October 26, 2015 by Appropos / This entry was posted in Informative, Product Reviews and tagged dry herb, pax, pax 2, smoking, vaping, vaporizer. Bookmark the permalink. Since its inception in 2012, the Pax has remained one of the most popular and best reviewed devices on the market. Its sleek design, great performance, ease of use and Ploom’s awesome customer service has made Pax a leading name in the industry. The Pax 2, released in March of this year, has addressed many issues users of the original Pax harbored. This article hopes to illustrate the differences between the two devices. 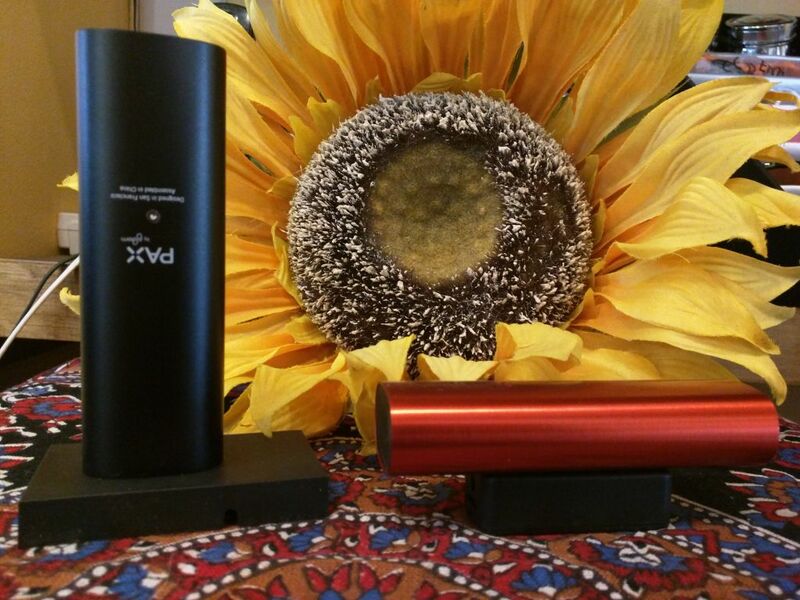 Starting with size, the Pax 2 is 25% smaller than its predecessor. It is also 10% lighter, weighing approximately 90 grams compared to the original devices 98. 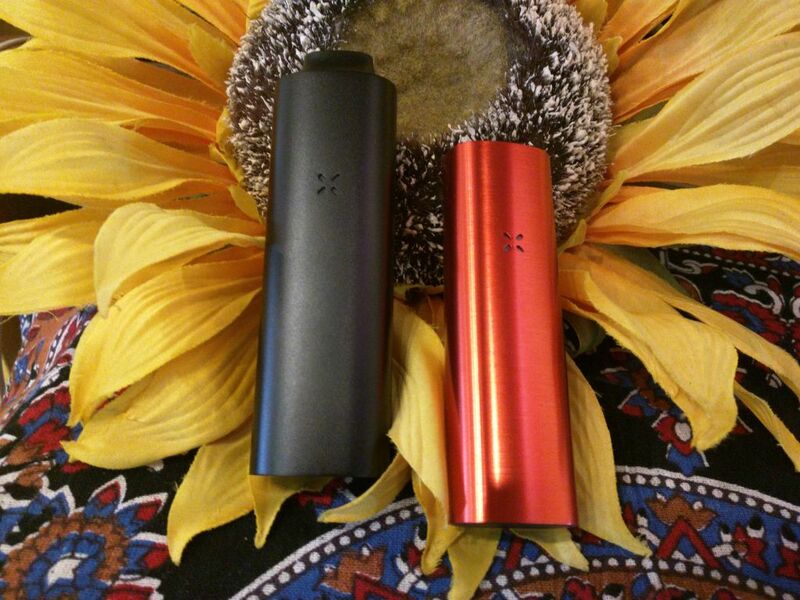 Even though the Pax 2 is smaller than the original, it has a longer battery life. The original Pax could run for about an hour’s worth of use. The Pax 2 can run for approximately ninety minutes. The oven on the Pax 2 is smaller than the original, being about 91% the size of the original’s. The chamber is deeper but not as wide. Both units can fit approximately .4 grams. Part of what has made the Pax 2 a smaller, more compact device is the alteration of the mouthpiece. The original had a pop up mouthpiece which you had to remove to turn the device on and to alter the temperature. The mouthpiece on the Pax 2 is flush with the device and the button can be pressed without removing the mouthpiece. This design change aides in alleviating the number one issue Pax users had with the original. Cleaning the original Pax was very difficult and if the mouthpiece got clogged, the device refused to heat up. The new device requires much less cleaning and will continue working albeit with restriction once the device gets dirty. The cleaning is also much easier on the Pax 2, only requiring an isopropyl rub with a pipe cleaner through the vapor path, as well as some isopropyl on a q-tip to clean the mouthpiece and chambers. Another major new feature of the Pax 2 is its motion sensing and lip sensing abilities. After thirty seconds of no activity, the device will drop in temperature. After twenty seconds of no lip connection, the device will drop in temperature. After three minutes of no activity, the device will shut off. Shaking the device will display its battery life. If it shows one light, it means that the battery has 0-20%, two lights means 25-50%, three is 50-75%, and four lights means its 75-100%. 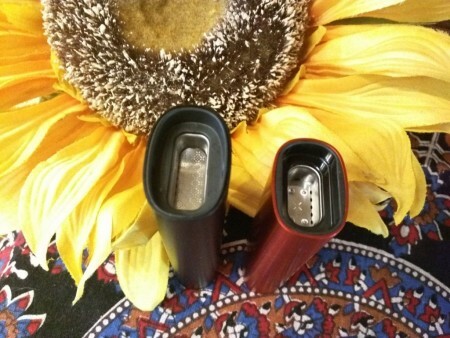 The Pax 2 has four temperature settings with a range of 360F -420F (180C – 215C) compared to the original Pax which had three temperature settings ranging from 370F – 410F (188C – 210C). When setting the device, the lights on the front will indicate the temperature. One light means it’s at the lowest temperature and four lights means that its at its highest. Temperature one burns at approximately 350F when not in contact with the lip sensor, after about twenty seconds the unit cools down to about 310F. When it makes contact with the lip sensor the device rapidly heats up to about 390F. Setting two heats up to 390F. Setting three goes all the way up to 420. And setting four heats up beyond what Ploom states, going up to the approximately 447. The increased temperatures of the Pax 2 can cause it to get quite a bit hotter in your hand than the original, but the mouthpiece on the new device remains cooler than the original unless you switch it out for the included mouthpiece which more resembles the original. The included mouthpiece tends to get quite hot for some reason. Charging the Pax 2 is much more convenient than charging the original Pax. The mouthpiece of the original had to be taken off and the device had to be plugged in from the top of the device upside down. This method is what led to many of the cleaning and usability issues of the Pax because the built up material in the device would run down the device’s chamber into the mouthpiece. The method of charging is completely different on the Pax 2. The device has a magnetic charging strip on its side. The device comes with a panel that plugs into any USB port, and to charge the device, all you have to do is lay the Pax 2 on the included charging port. This allows for much easier use while charging as well as less hassle all around. The battery, however, does take a little longer to charge on the Pax 2, but you can use the cord from the original Pax with the Pax 2 to decrease charging time. The Pax and Pax 2 are both great devices. The original Pax is still available on the market and has seen a price cut. Both devices are session vape pieces with intended use being 10-15 draws over the course of 10-15 minutes. They are fun devices and great for passing around between friends. There is a mysterious party lights feature which you can read about here. Pax is great for portability and outdoor use where you don’t want to be fiddling much with temperature or maneuverable pieces. The new features of the Pax 2 are significant enough that we at Sunflower Pipes generally steer people towards this device over the original, but if you are looking for a great device at a lower cost, the original Pax is still a great choice. Sunflower pipes is an authorized Pax retailer. You can pick up both the Pax and Pax 2 at our online store or in our Bushwick located shop in Brooklyn, NY.